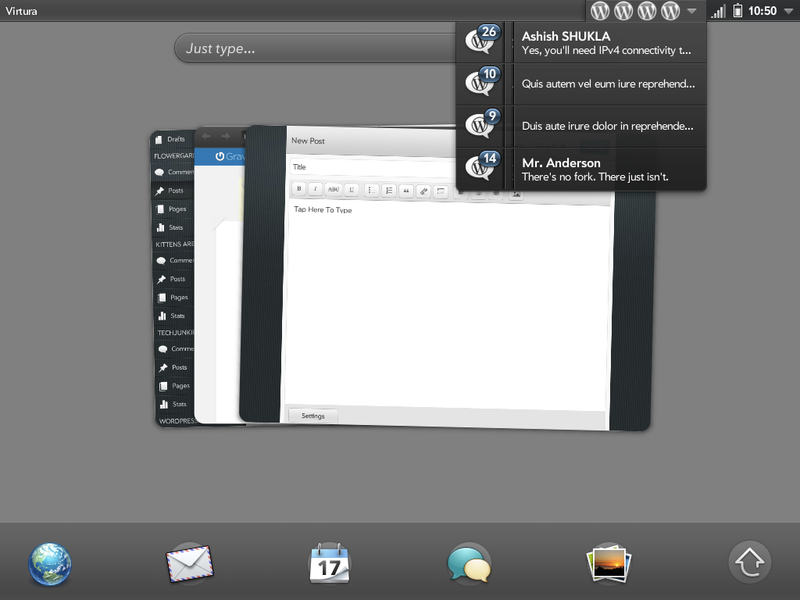 WordPress has today torn the wrapping off a brand new official app for HP’s WebOS platform. Currently supporting just the HP TouchPad, the company is billing it as the first official, full-featured WYSIWYG (What you see is what you get) blog editor app for the blogging platform. While mobile blogging apps tend to be a little under-powered and unreliable, this one really looks the part. 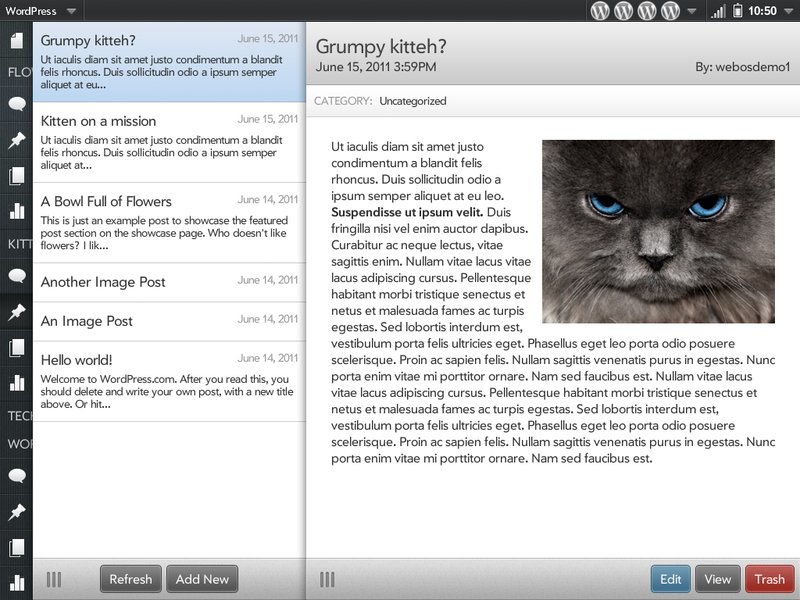 It has a full visual editor for formatting text and inserting images or embedding media. A beautiful ‘sliding panels’ interface is coupled with support for WebOS ‘cards’, letting you share flip between multiple parts of the app with ease. Posts and pages can be managed and created and there’s comment moderation built in too. It supports both WordPress.com-hosted blogs and self-hosted installs of the platform. In all, it looks like HP TouchPad owners have something of a sweet deal when it comes to WordPress. Support for other WebOS 3.0 devices is promised for the future. Now, can we have something this good for the iPad and for Android tablets, please?